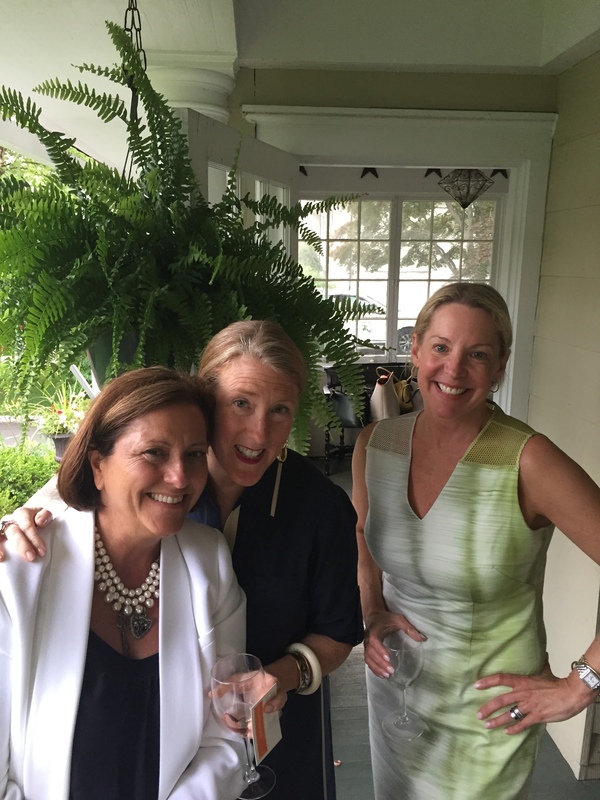 Harriet Mays, Susan Harrington & Clare Basius caught up on the front porch at Beth Dempsey’s home. Carolyn Sollis Favorite Summer Vacation Spot: Fenwick CT, where the CT River meets Long Island Sound – I have spent summers there my entire life. Signature Summer Dish: Blueberry Kir Sauce Great Beach Read: This summer I plan to read Z: A Novel of Zelda Fitzgerald and All the Light We Cannot See by Anthony Doerr. 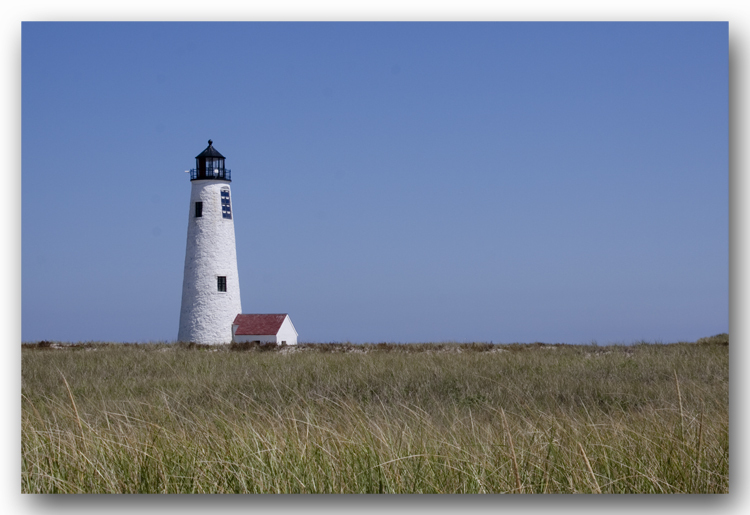 Nantucket is the favorite summer vacation spot of Quintessence blogger Stacey Bewkes. 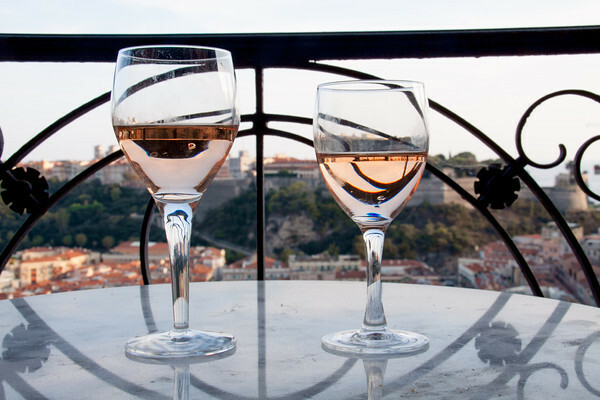 Is a lovely bottle of rosé wine your drink of the summer? KC Williams Favorite Summer Vacation Spot: Little Compton, RI (where else?) Great Beach Read: Leaving Before the Rains Come, by Alexandra Fuller. I’ve read all of her previous books about her childhood growing up in Zimbabwe, and they portray a life that’s quite foreign to our world. Favorite Summer Cocktail: I have many but I especially like Dark & Stormy’s. 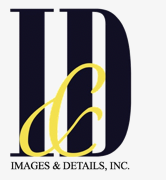 Carey Karlan, Stacey Bewkes and KC Williams enjoyed the summer afternoon with Images & Details. Melissa Feldman Favorite Summer Vacation Spot: Sailing around the Turkish Mediterranean was the best vacation I’ve ever had! Great Beach Read: I love, love, love Jonathan Franzen, so I’m waiting his next novel, Purity, to come out later this summer. Also The Last Love Song a new biography on writer Joan Didion. Favorite Summer Cocktail: Naturally a negroni, but only made with dry vermouth. 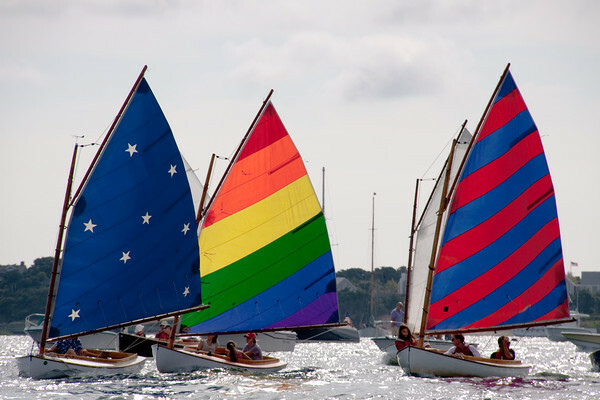 Sailing is a big part of the New England summer. 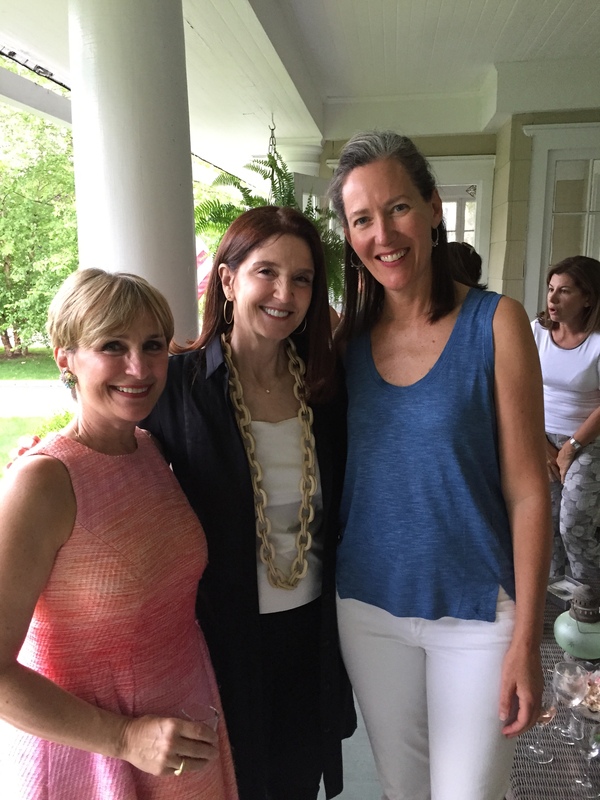 Carey Karlan Favorite Summer Vacation Spot: I’m happy to stay-cation right here in Darien in the summer! You could travel a long way and not find a more beautiful spot than the terrace overlooking the sound at the beach club at twilight. Spending unhurried time with friends and family in that familiar and beautiful spot is my bliss for summer. Favorite Summer Meal: I love to set up a fancy picnic complete with flowers, cold salmon with tasty salads and a fresh peach cobbler! Favorite Summer Cocktail: A nice bottle of Sancerre. Summer reading lists included a Pulitzer Prize winner and a new biography of Joan Didion.